With Election Day coming up on November 6, it’s time to make a plan for voting. For many Americans, voting can be confusing and even intimidating. Familiarizing yourself with the procedures in your state helps ensure that nothing stops you from voting on Tuesday. A 2010 study found that voter turnout is nine percent higher among people who, before election day, make a plan to vote. 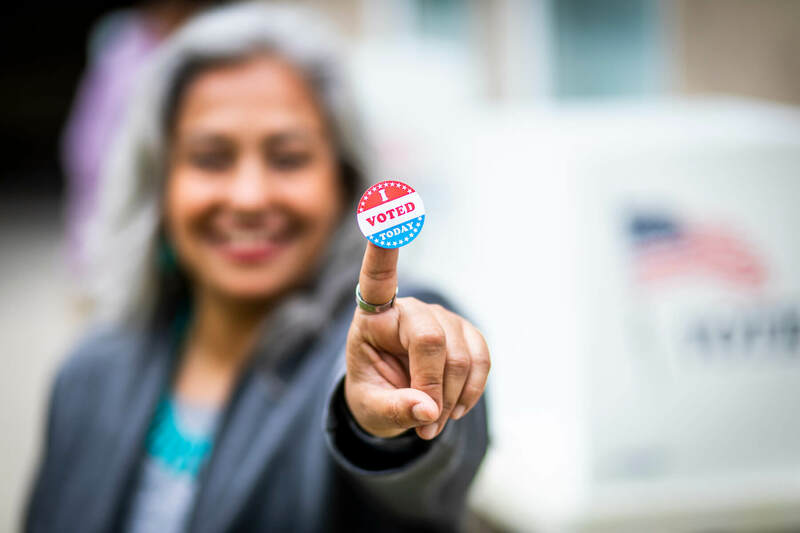 As part of our commitment to increasing voter turnout this election cycle, we’ve put together a guide for getting to the polls. While voter registration deadlines have passed in most states, some states allow voters to register up until November 6. In North Dakota, voters do not have to register at all – they can simply show up to the polls with an ID. Even if you’re an active voter – even if you recently voted in the primaries! — it’s important to double check your registration status before election day to ensure that your information is correct. Voting locations can be just about anywhere: schools, libraries, town or city halls, houses of worship. Once you’ve checked your voter status, it’s important to know where to go to cast your ballot. Take a moment to figure out how long it will take you to get to your polling place, and if there are any logistics that might make it difficult. Is there a place to park? Can public transportation get you there easily? Will you need a wheelchair accessible entrance? Ballots have an overwhelming amount of information. Depending where you live, you may be voting not only for candidates but also on ballot measures – proposals that voters can directly approve or reject. These ballot measures can cover just about any topic and often require a “yes” or “no” vote. Luckily, some states allow you to view a sample ballot before heading to the polls so you can educate yourself in advance. To find out if your state offers a sample ballot before election day, visit Headcount or Ballotpedia. To find out if you need identification, visit the National Conference of State Legislatures. To report violations of federal election laws, visit the U.S. Department of Justice. To report voter intimidation, contact the ACLU. If you have questions about how to use a voting machine or fill out a ballot, or if you make a mistake and want to start over, ask a poll worker. If you notice a problem at your polling place, find a poll watcher. If you are unable to vote and believe you are eligible, contact your state’s attorney general. Once you’ve filled out your ballot, give it a quick once-over to make sure everything is correct. If you are using an electronic machine to vote, confirm (if possible) that it has accurately captured your vote. In the 2014 midterm elections, 64 percent of Americans didn’t vote. Active citizenship is at the core of a representative democracy. There is more to citizenship than voting, of course, but it is the most important place to start.